A great feature is the auto-adjust cleaning head that automatically adapts its height to keep the dual multi-surface brushes in close contact with different floor surfaces, so it can effectively clean carpets and hard floors. 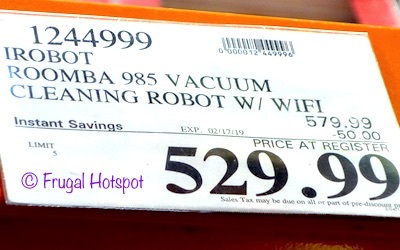 Select Costco locations have the iRobot Roomba 985 Vacuum Cleaning Robot on sale for $529.99 (after instant savings), now through February 17, 2019. That is $50 off Costco’s regular price of $579.99. While supplies last. Item #1244999. • The 3-stage cleaning system uses dual multi-surface rubber brushes and power-lifting suction to pull in embedded dirt, debris, and pet hair. • Power boost mode automatically boosts air power up to 10 times on carpets, to get at embedded dust and dirt. • iAdapt 2.0 navigation has visual localization to help Roomba efficiently navigate an entire level of your home around furniture, under beds, sofas and other hard-to reach places and keep track of its location. 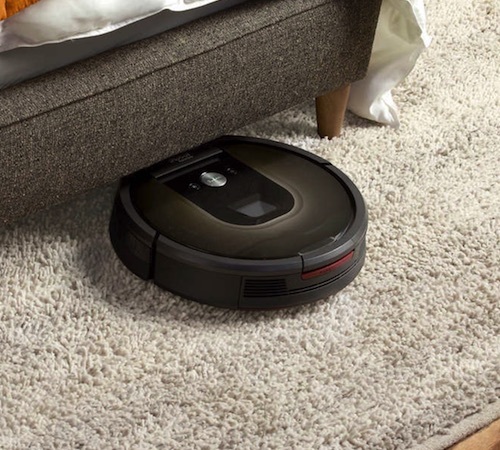 • The Roomba 985 runs for up to 120 minutes and then automatically recharges and then will resume to complete cleaning. 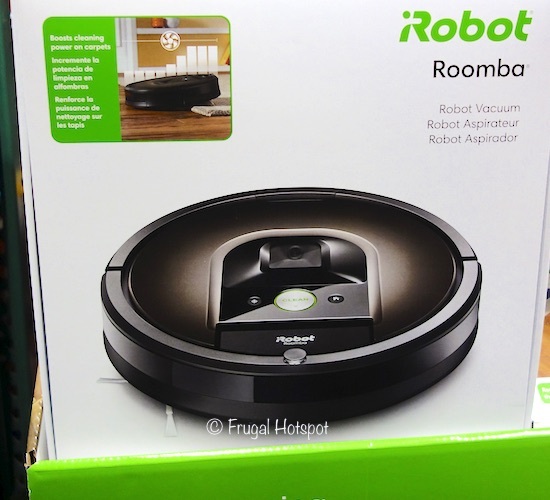 • Use the iRobot HOME App to schedule and customize how your Roomba cleans. • Wi-Fi connected Roomba vacuums are compatible on devices with Amazon Alexa and Google Assistant. • The high-efficiency filter can capture up to 99% of all allergens, pollen, and particles as small as 10 microns.